Design, above all, is a state of mind and a rallying call for those who want to re-enchant everyday objects. Simple and casual, GANGZAÏ branded items will splash your interiors with bright colours and recreational graphic designs. 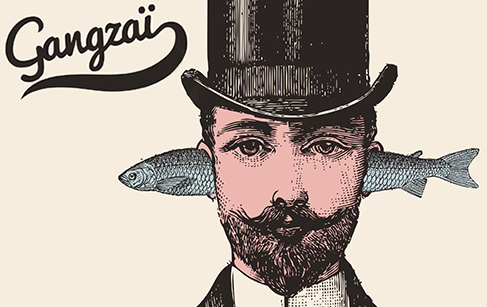 GANGZAÏ is the desire to bind ZAÏcreators as a new Gang but also connect ZAÏcool, ZAÏfun and ZAÏaccessible products to ZAÏconsumers. Inspired by cavaleras – Mexican skulls – TETMEX is GANGZAÏ’s first collection. TETMEX collection is available in three different models and offers home accessories such as cushions, service trays and phone cleaners. A whole range of useful fun products.